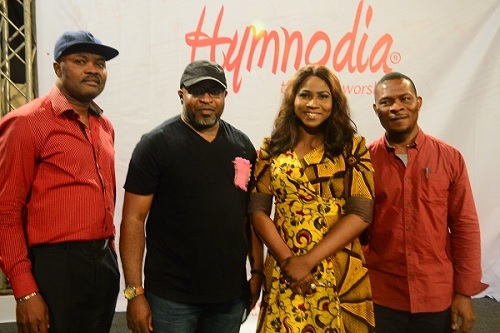 Nigeria’s premier TV reality show on hymns and singing, Hymnodia has concluded arrangement to announce 14 hymntestants (contestants) for the programme, which began airing last Sunday on satellite and terrestrial channels. The final 14 contestants will be chosen from the 26 who survived the two-day audition conducted late last month. The final 14 hymntestants will be revealed via the Hymnodia social media handle: @hymnodiahq on Instagram, Twitter and Facebook, and be called to the Hymnstitute (house for the reality show) on Sunday, February 10, 2019. The faculty, who attested to the pool of talents from the Judges List from the audition, had it all to do before arriving at the shortlist of 14 who will contest for a prize of the Asaph (a specially designed award named after David’s chief musician), N5million and a brand new car. The grand finale is scheduled for April 2019. Hymnodia, which is conceived by Philosoville Limited, is the first ever entertainment reality show that is focused on hymns and worship. The show is available for one hour every Sunday on TV via Lagos Television on Channel 256 on DSTv, Channel 90 on GOtv and Channel 118 on Startimes from 12:30pm, and is also streamed live on the LTV App available on the app store. The panel who conducted the audition, included Dupe Ige Kachi, singer, songwriter and vocal coach; Seun Owoaje, pianist, composer and former music lecturer; Benneth Ogbewi, event consultant and Sunday Olawuwo, music director of Archbishop Vining Memorial Church Cathedral, Ikeja, Lagos. “I see potentials in the contestants and l commend the initiator for taking the bull by the horn to nurture talents.” Owoaje said. The Managing Director of Philosoville Limited, Kufre Ekanem stated that other partner stations would soon join in broadcasting Hymnodia. He assured that the audiences would be regaled in the flow of creativity of choir performances during the 13 weeks of wholesome fun which the initiative would run through. Hymnodia, which will be an annual event was flagged-off in grand style by a team of 30-member choir at the Ikeja City Mall in Lagos in December 2018, where shoppers, traders and visitors were thrilled with beautiful hymns rendition.